Would Trump Take Lindsay On "Apprentice?" 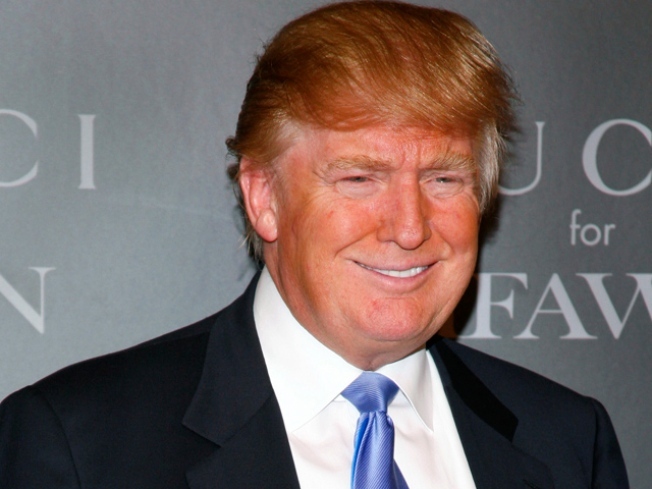 Donald Trump says he'd want Lindsay Lohan and her mom on "The Celebrity Apprentice." Lindsay Lohan hasn't been "fired" just yet… in fact, Donald Trump is considering offering the troubled starlet (along with her mother, Dina) a spot on his hit NBC reality business drama, "Celebrity Apprentice." "We would love to have [Dina and Lindsay] both as a team," Donald told Access Hollywood's Tony Potts in New York on Wednesday, on the possibility of a LiLo "Apprentice" appearance. "You know, we did it with Joan Rivers, not to equate — but we did it with Joan and Melissa, and they came on as a team, and it was a great success. We've been talking to [Dina and Lindsay] as a team, as opposed to individuals." Donald said he knows the Lohan family "very well," and although "they're terrific people," the mogul said Lindsay would have to completely clean up her act before joining the "Apprentice" team would be a possibility. "She's got a problem. So before they do anything, she's gonna straighten out her problem," he told Access. "I've spoken to Lindsay, I've spoken to the mother, but they've gotta really straighten Lindsay out first." The real estate mogul has been lucky to avoid the pitfalls of drug and alcohol abuse – partially due to witnessing substance abuse in his own family. "So if you don't drink, and if you don't smoke, and if you don't, you know, go with the drug stuff, there's no interest in it," he added. As for Lindsay's current problems, the father of five said poor parental examples can be to blame for children's negative behavior. "[Lindsay's father, Michael] sounds like a nice guy. Whenever I meet him he's so nice and everything else, but let's see — he has drugs, he has prison, he has fights, he has lots of problems," Donald explained. As for Dina, the billionaire didn't assign blame but admitted something must be amiss in Lindsay's home life. "Dina – I mean, I really think she's a nice woman," Donald told Tony. "But somehow, something went wrong." "I know [Michael and Dina] love their daughter, and they want their daughter to get better," he added. Catch Donald on "The Apprentice" on Thursdays at 10 PM on NBC. PLAY IT NOW: Trump's Take On Troubled Lindsay, Charlie & More!